Our classic overwound Stratocaster single coil with a flat magnet pattern for beefing up guitars with lighter string gauges and flatter fretboards. For guitarists who prefer lighter strings, or play guitars with flatter fretboards the flat alnico 5 rod magnets provide a nice even string balance, and really help to punch up the sound of light gauge guitar strings. 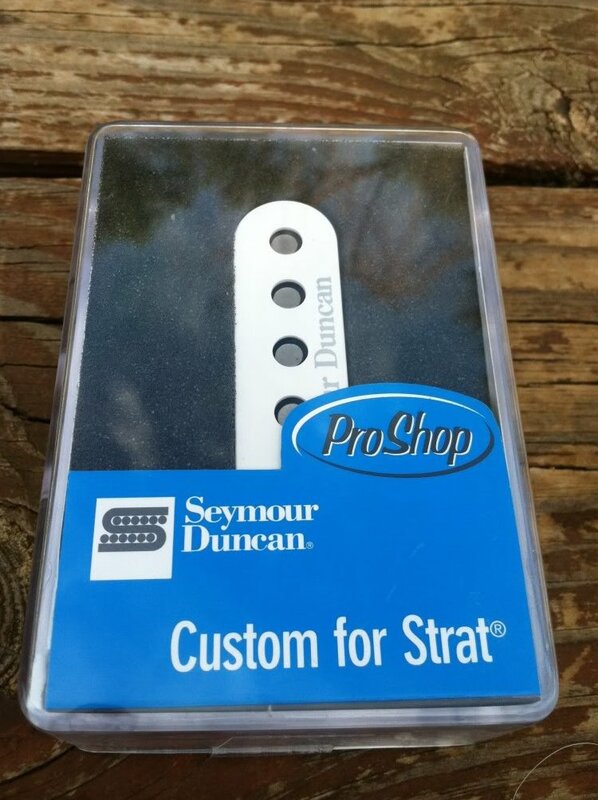 The Custom Flat for Strat is a specially overwound single coil that strikes the perfect balance between increased output, and bouncy Stratocaster tonal character. Your single notes will sound bold, and your solos will really sing. Use a full set for huge sounding Strat, or use in the bridge position with a pair of Vintage Flats in the neck & middle for a more versatile setup.These bobbins are hand built with Forbon, dipped in lacquer then wound and wax potted for squeal free performance. We use modern oval Forbon flatwork (non-triangular) which enables this pickup to fit into any guitar that is routed for single coils.